As early as 1915, Sarnoff recognized the potential of organized broadcasting to stimulate the sale of radio receivers. He founded NBC, the broadcasting division of RCA, in 1926. He later carried this insight into the realm of television. 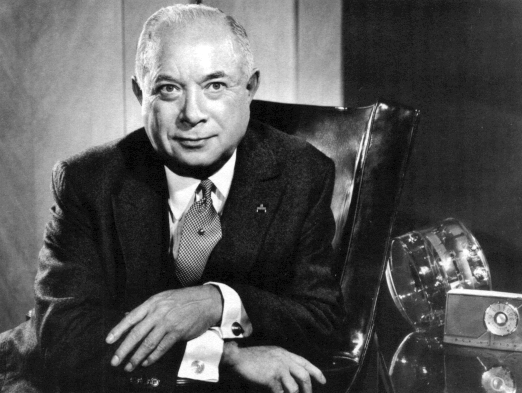 As president of RCA (Radio Corporation of America) during the 1930s and 1940s, Sarnoff was instrumental in financing the development of electronic television. When RCA was ready to promote the sale of television sets, NBC was ready with programming to create demand. A brilliant marketer, Sarnoff was determined that RCA would be the company to bring television to the American public, and he made it happen.